You don't need to tow your bike into the shop, our mobile ignition experts are readily available 24 hours a day to come to your location in Brooklyn. 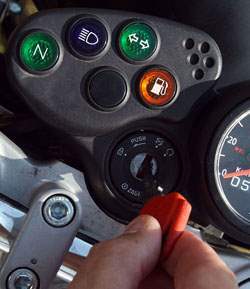 They will repair or replace your motorcycle ignition switch, and match the ignition key to your existing motorcycle key. Don't wait for a small ignition problem to get worse, call our motorcycle locksmiths in Brooklyn today to get our professional ignition service and 24 hour motorcycle key service in Brooklyn.